B-STREET BAND IS BACK!! THE ULTIMATE BRUCE COVER BAND!!! EVENT HORIZON! CALL FOR YOUR NEXT OPEN BAR! WE WILL BE OPEN AT NOON THURSDAY AND FRIDAY FOR THE NCAA TOURNAMENT!! IRISH MUSIC AND CORNED BEEF AND CABBAGE BEING SERVED ALL DAY!!! LIFESPEED! LIVE TONIGHT AT 11PM! THE NERDS! CALL FOR THE FREE LIMO RIDE AFTER 9PM!! THE BENJAMINS! CALL FOR YOUR NEXT OPEN BAR STARTING AT $20PP!! HAPPY LEPRECON DAY!! 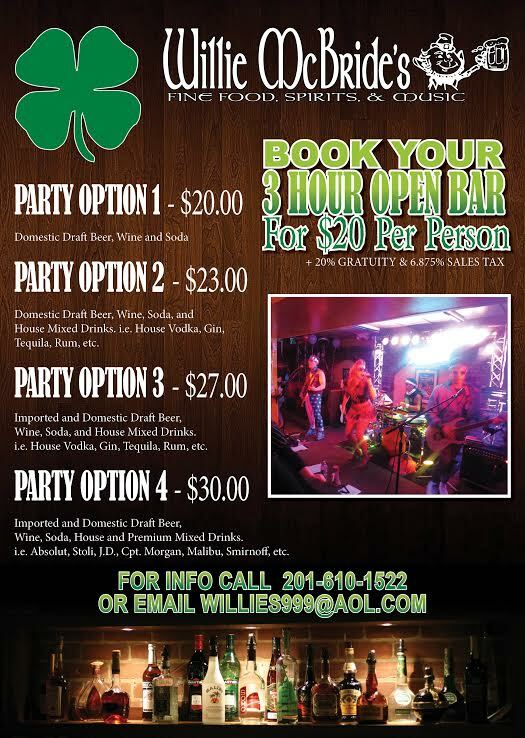 LIVE IRISH MUSIC ALL DAY AND LIVE MUSIC AT NIGHT!! SIGN UP TODAY AND REGISTER FOR WILLIES!! BAND OF MAKE BELIEVE! 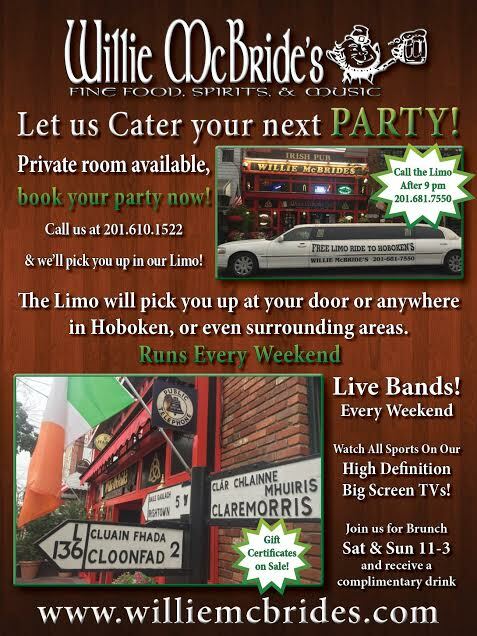 CALL FOR THE FREE LIMO RIDE AND PAY NO COVER! 201-681-7550! ALMOST EASY! CALL FOR THE FREE LIMO RIDE TO WILLIES AFTER 9PM! 201-681-7550! B-STREET! SHOW STARTS AT 9PM!! 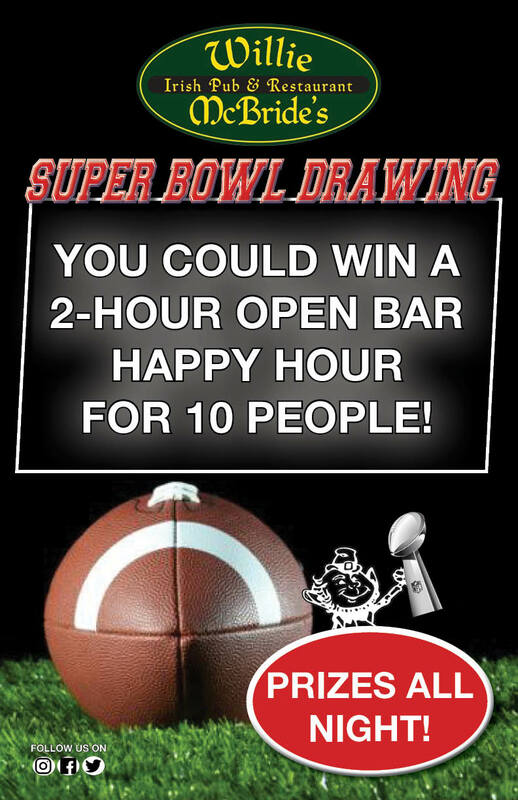 MAKE YOUR SUPER BOWL RESERVATIONS TODAY FOR A CHANCE TO WIN A 10 PERSON OPEN BAR!! !